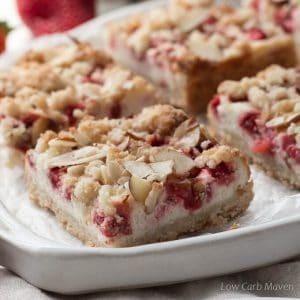 Low carb blueberry crumble bars made with almond flour and shredded coconut and filled with a jammy blueberry filling. This sugar-free recipe serves up the taste of Summer any time of year. It wouldn’t be Summer without one standout blueberry comfort food recipe – and this is it! 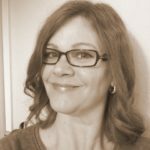 As we enter Summer fruit season, I would be remiss to not include a low carb blueberry crumble bars recipe. I grew up on my mom’s fruit crumbles, buckles, brown Betty’s, and cobblers. 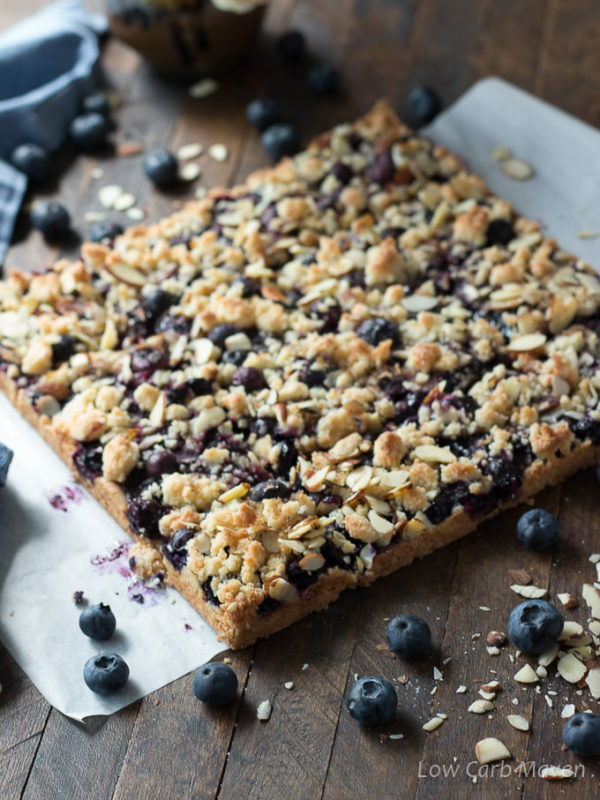 My mom doesn’t eat fresh blueberries, but she’d love them cooked and almost jam-like in these blueberry bars. I know my family did! Cultivated blueberries grow well in my part of California. Every year we take our kids to the local blueberry farm to pick quarts and quarts of fresh blueberries. Of course homemade blueberry pie is a must, as is low carb blueberry ice cream and sugar-free blueberry jam. Any leftover blueberries are frozen to enjoy during the year. 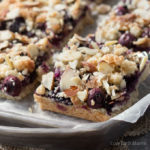 For this low carb blueberry crumble bar recipe, I used frozen blueberries with a few fresh blueberries for additional visual texture. 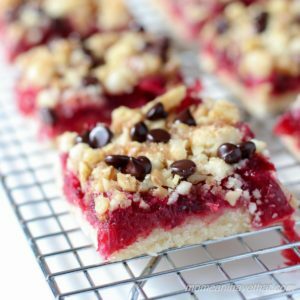 If you’re a fan of crumb or streusel toppings, like I am, then this recipe is especially for you. Bob’s Red Mill super-fine almond flour and Bob’s shredded coconut combine to make the perfect shortbread crust and topping. 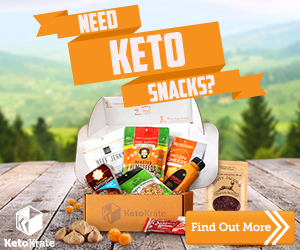 Those new to a ketogenic lifestyle, have noticed that low carb baking flours are quite different than conventional ingredients. We rely on a variety of nutritious ground nuts and seeds for our baked goods. Most recipes call for super-fine almond flour or coconut flour, but ground desiccated coconut or seeds add nice texture and flavor variations. If these products are new to you, you’ll find them in the Bob’s Red Mill section of your local grocery store or on Amazon. Lastly, fruit does contain natural sugar. I try my very best to balance taste with carb count. Berries have the least amount of sugar compared to other fruits and are perfect for low carb keto dieters. These low carb blueberry crumble bars are delicious and offer ½ an ounce of blueberries per serving. But let’s be honest, it’s all about the crumble anyway! Each low carb blueberry crumble bar is 5 net carbs. Blueberries: Place the blueberries, lemon juice, and water in a small pot over medium heat to thaw. Mix the dry ingredients together. When the berries have thawed, stir the dry ingredients into the blueberries and bring up to a simmer, stirring until thickened. Remove from heat to cool. 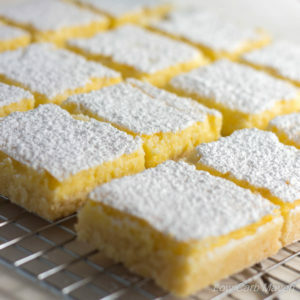 Shortbread Crust: Preheat oven to 350 degrees F. Spray a 9x9 inch metal pan with baking spray and line with a piece of parchment that covers all or most of the bottom of the pan and overhangs two opposite sides. This will help you remove the whole dessert from the pan. Powder the coconut in a coffee grinder. Measure all of the dry ingredients into a smallish mixing bowl. Mix thoroughly with a whisk. Melt the butter and add it to the dry ingredients. Stir and press the mixture with a large spoon or rubber spatula until the butter is incorporated. Squeeze a small amount in your hand to test if it will hold together nicely. If not, add 1-2 more tablespoons of melted butter. Assembly: Remove 1 cup of the shortbread crumb mixture. Dump the rest of the mixture into the prepared pan, spread it evenly and top with a piece of waxed paper. Press the crust firmly into the pan with a flat bottomed glass. Pour the blueberries over the crust. There will be open spaces. Crumble 1/2 of the reserved crust mixture over the blueberries and then half of the almonds. Repeat. Sprinkle with additional sweetener if desired. Bake: Place into the middle of the oven and bake for 30-40 minutes or until the top is golden brown. Let cool completely before lifting out of the pan. Cut the blueberry crumble into 16 squares with a large chef's knife, cutting straight down. Store in an airtight container in the fridge. Makes 16. Where it says “erythritol based sweetener” can I just use straight up Erythritol? Looks amazing. Is it possible to exchange the powdered shredded coconut with coconut flour and if so how much please, assuming that was the goal of grinding down the shredded coconut? Thanks! This looks so delicious! I’m going to make it this weekend. I don’t have xanthan gum though. Do you think I can substitute it with Chia seeds? Thank you! Okay, thanks. I’ll play around with it and let you know how it turns out. Quick question: would I be able to substitute coconut flour instead of powdering the coconut? I don’t think coconut flour will work. It doesn’t have the outspoken flavor of the coconut, plus it absorbs all liquid it seems to come in contact with. How much coconut flour would I use if replacing the almond flour (nut allergy)? I would like to try this recipe, however don’t care for coconut. What can I replace coconut with, more almond flour? Thanks. I have a food intolerance to almonds. What flour could I sub in it’s place? Used Truvia in a smaller amount, replaced the shredded coconut with 1 scant Tbsp coconut flour and combined reserved crumb mixture with the almonds, omitting the extra sweeter i used fresh blueberries cooking long enough that there were still plenty of whole berries. They came out perfectly and the taste was absolutely delicious. 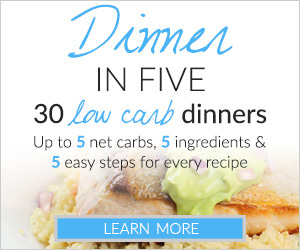 Made this tonight–had only fresh blueberries and no xanthum gum–and it was excellent. Really hit the spot since I couldn’t indulge in the banana cream pie my family was enjoying. Thanks for the recipe and I’m happy I found your site. 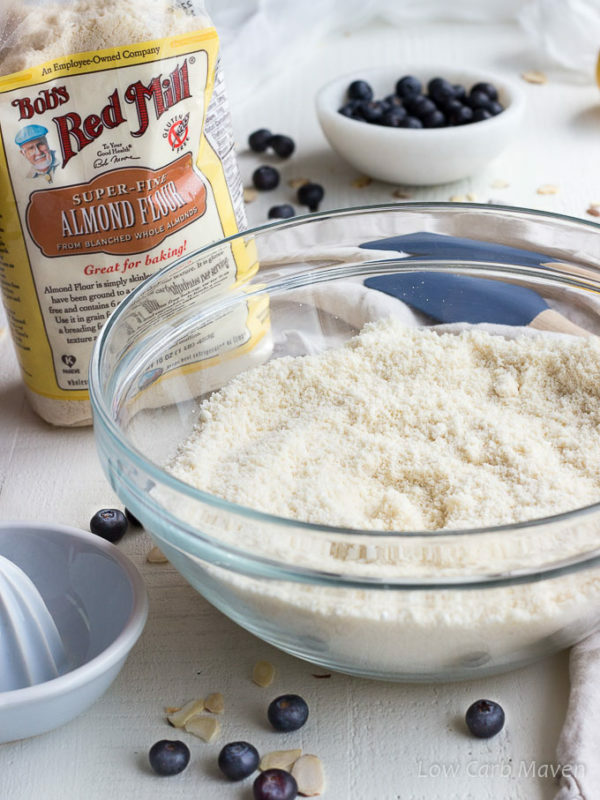 Have you tried adding almond extract instead of water to the blueberry mixture? Hi Liz. You can add almond extract to the blueberry mixture to flavor it, but don’t use it instead of the water – it’s pretty strong. Add it after cooking the blueberries and only 1/8th at a time until you get the flavor you like. Enjoy! I am a new fan of the Bob’s fine almond flour and I have to say it is wonderful! It is my go to now all the time. 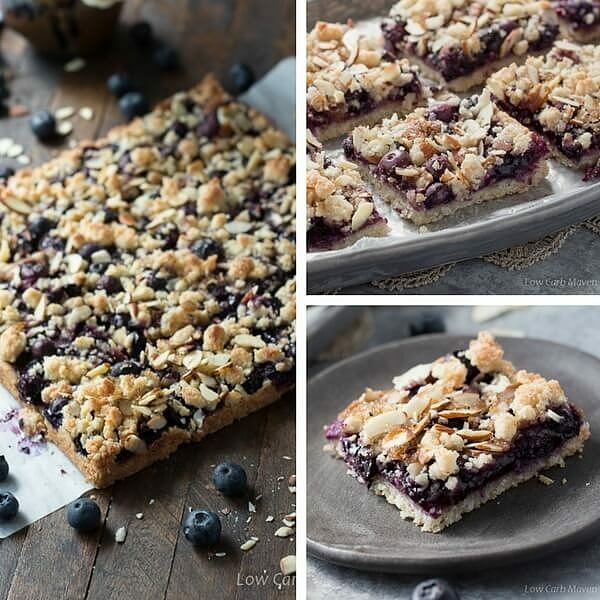 Especially after making these Blueberry crumb bars. I made them this weekend and OMG they are so delish! This looks so delicious, I can’t wait to make it! What kind of whey protein did you use? What can I use to substitute the cornstarch or arrowroot? I’d love to make this for work, but my manager is allergic to coconut. Any ideas to substitute for the shredded coconut in the crust? I am getting jealous here – you are entering summer and we are not even entering spring…. It is so cold for May, definitely not normal. On the brighter side – I love this kind of bars and your version looks perfect! 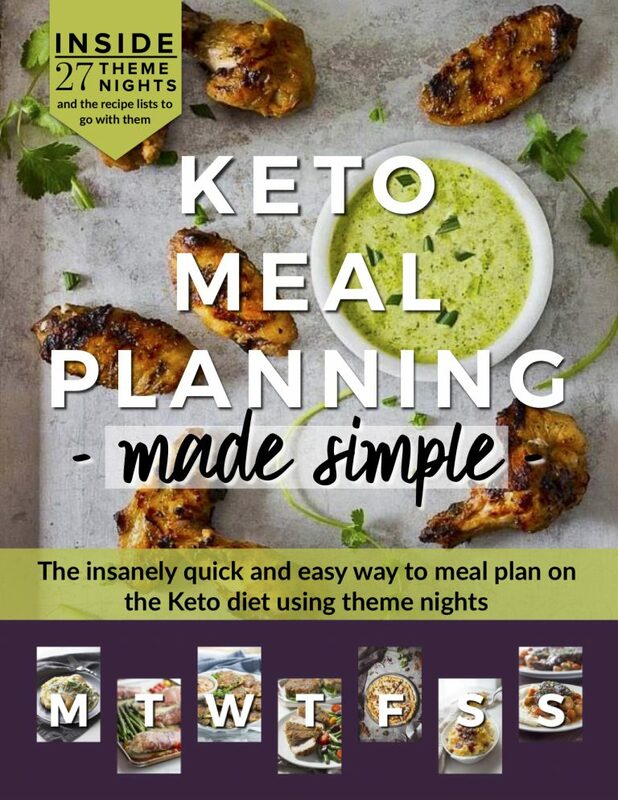 Recipes for low-carb eating are pretty useless without the macronutrient breakdown. gracious reply to say the least! Thanks so much In the oven now. Didn’t have any xanthan gum so we shall see how I did substituting. Smells great. Hope you have a wonderful day!